As you know, we tend to focus on watches firmly in the affordable realm, which often times could be classified as sub-$1000 watches. We do, of course, go afield from that now and again, and consider those to be more aspirational. Then we come to something like the Arnold & Son HM Perpetual Moon Aventurine, and we’re reaching into the realm of grail (or lottery winning) watches. 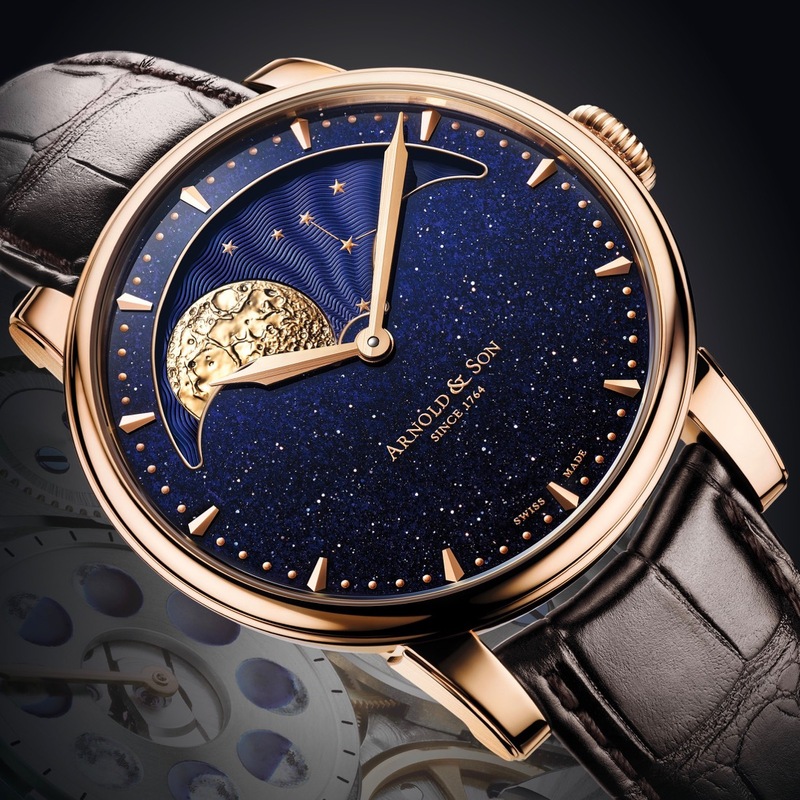 That said, I cannot help but be drawn to the Arnold & Son HM Perpetual Moon Aventurine, because of the dial material. With the large slice of aventurine in the mix, you’ve got a ready-made star field. Ever since I first saw this material being used on watch dials, I was entranced. Paired as it is here, with a moon phase complication, it’s a lovely bit of design synchrony. It’s not just all good looks for the Arnold & Son HM Perpetual Moon Aventurine. Tucked under the dial is the A&S1512 movement, which has the moon phase complication running in a perpetual guise. By that, I mean it runs – accurately – for 122 years. This is no mean feat. Once once you hit that 122 years, the use of a pusher will get things reset, and you’re good to go for another 122 years. What I’d change: That it’s not on my wrist?